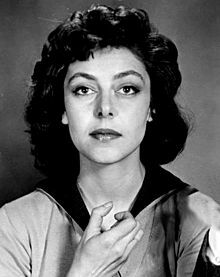 Elaine May (born April 21, 1932) is an American screenwriter, movie director, actress and comedian. She was known for being in an improvisational comedy with Mike Nichols called Nichols and Mary. She has been nominated twice for an Academy Award, for Heaven Can Wait (1978) and Primary Colors (1998). This page was last changed on 4 August 2015, at 05:49.